The Swing chair by Stylex has a great design to it that allows it to fit in any office environment. The chair incoprorates high-density, cfc-free polyurethane foam cushions that make it a very comfortable chair to use. 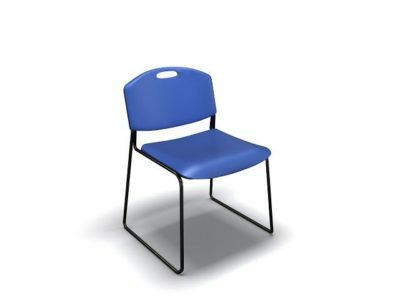 This is a fixed height chair with the ability to lean back. Check out our used selection. of burgundy tilting foam cusion conference chair. 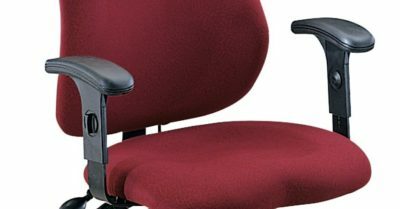 Save tons of money buying used conference chairs at Office Liquidation. 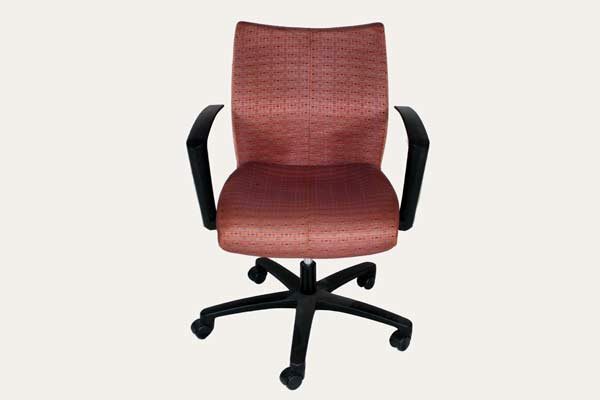 Looking for a used burgundy tilting foam cusion conference chair in Orlando? We have cheap pre-owned Stylex foam cusion conference chairs, in burgundy tilting, available at our air conditioned showroom. 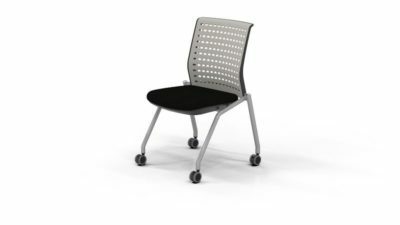 We are your used conference chair furniture dealer! Stylex Swing office furniture delivery and set up available in Florida and beyond. 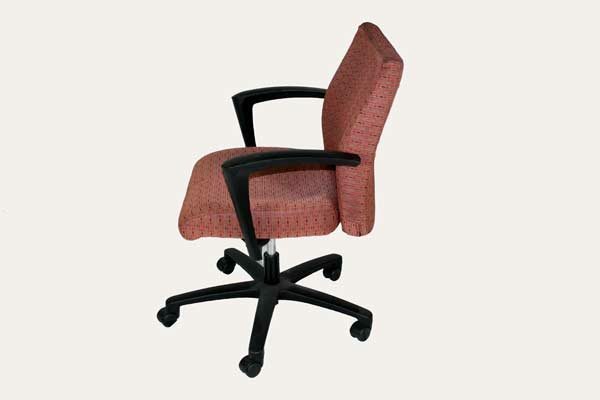 Office Liquidation is your cheap office furniture dealer for cheap pre-owned foam cusion conference chairs.